More than 70 people from across Far North Queensland came together in Cairns last week in the latest of regular diocesan gatherings that are helping local communities commence the three-year Plenary Council process. Plenary Council facilitator Lana Turvey-Collins, who has attended many such gatherings across the country, introduced the Cairns locals to the listening and dialogue process that will help groups — large and small — participate in the preparation phase of the Plenary Council. People’s dialogue sessions, which can inform submissions to the Plenary Council, will help shape the agenda for the Council sessions in 2020 and 2021. Centacare FNQ executive director Anita Veivers attended the first session in Cairns. Ms Veivers said she enjoyed the opportunity to be part of such an authentic communication process. Ms Turvey-Collins said the level of engagement she observed in Cairns was impressive and encouraging. “It was a great privilege to hear a few of the stories of people’s experience of faith and the Church from people in the Cairns Diocese,” she said. 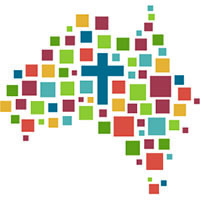 Ms Turvey-Collins will attend a number of similar introductory and explanatory gatherings in a number of cities in coming weeks, including meetings with educational leaders, Catholic secondary school students, leaders of religious congregations and other diocesan groups. This entry was posted in Bishops, Plenary Council on June 5, 2018 by ACBC Communications.